Rob Johnson is a professor of English and American literature at the University of Texas Pan-American — which, it turns out, is just down the road a bit from Pharr, Texas, where William S. Burroughs lived in the late 1940s. (Google map) Taking note of the proximity while researching the Beats, Professor Johnson began a quest to flush out this almost completely unknown period of Burroughs’ life. Amazingly, he managed to locate and interview people who “knew Burroughs when” — knew him when he was known not as an avant-garde author but as an eccentric farmer. (When Burroughs shot his wife Joan, the New York Daily News described him as a wealthy cotton planter from Texas.) Backing up these interviews with basic documentary research, Professor Johnson has managed to compile a very unique portrait of Burroughs — a portrait of the artist as a pre-artistic man. In lectures and in an article that appeared in the journal Southwestern American Literature, Professor Johnson has hinted at the portrait which he now fully gives in his book The Lost Years of William S. Burroughs: Beats in South Texas. The book is being published by Texas A&M University Press and is slated for release in autumn, 2006. In advance of the publication, Professor Johnson very kindly agreed to field some questions from RealityStudio. 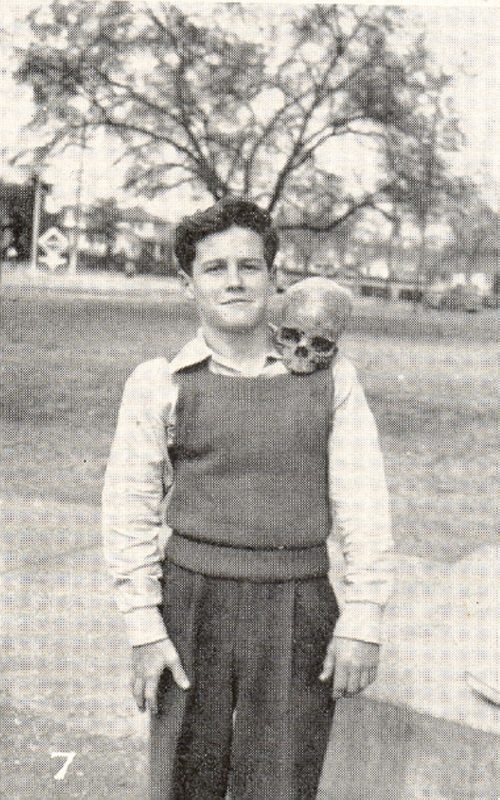 He also provided the exclusive picture (below) of “Tiger Terry,” a young friend whose death — he was mauled by a pet lion in a Reynosa, Mexico nightclub — formed the subject of a “lost” story by Burroughs. RealityStudio: You found a number of people who knew and remembered Burroughs. Without spoiling the stories that will be published in your book, what was their general perception of the man? Did they consider him a farmer? A drug-growing homosexual freak? Johnson: In general, they found him anti-social, but prone to occasional, enthusiastic outbursts — very much the Old Bull Lee in On the Road who shakes excitedly describing a shelf he has built that will last a thousand years. At least a couple of them believed he was mentally impaired — “retarded,” one man told me. If he had not been friends with Kells Elvins, who was well-known down here, Burroughs would have had few or no South Texas acquaintances. He would have been the “invisible man” he was most other places. RealityStudio: One of the members of Burroughs’ Texas household was Joan’s daughter Julie. After Joan’s death, she was sent to live with her grandparents and has pretty much disappeared (at least so far as fans of Burroughs are concerned). Does your book present any info on her? Johnson: Yes, but not much. One of Burroughs’s acquaintances, who is actually my neighbor in McAllen, Pat Paris, described Julie: Her description matches the photo of Julie taken in East Texas in 1947, which shows a rather unkempt, waif-like child. RealityStudio: At what point did the people who knew Burroughs realize he had become an author and celebrity? Have they read his books? What do they think of them? Johnson: Most people I interviewed had never read his books, nor were they even aware he had become a writer after he left the Valley in 1949. A couple of them later learned about his books when they saw his picture in Life magazine, following the publication of Naked Lunch. They were shocked. Pat Paris told me she was watching a documentary on the twentieth century with her son, and Burroughs’s image flashed on the screen. She said aloud, “There’s Billy,” and her son said, “Billy who?” “Billy Burroughs.” “Why do you call him Billy?” “Because that’s what we called him down here.” Her son was amazed, being a big fan of Burroughs, and started combing his books for South Texas references. There are at least two references to Pat and her husband in Interzone. RealityStudio: The image of Burroughs as a would-be farmer probably strikes many of today’s fans as incongruous. Do you think Burroughs really wanted to make a go at farming? Or were there other factors that drew him to Texas — say, the proximity of Mexico (and therefore boys)? 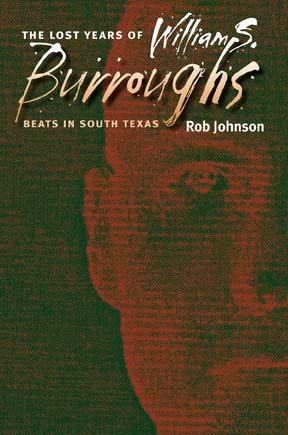 Was there anything about South Texas that was particularly congenial to Burroughs and/or the Beats? Johnson: Burroughs did come down here twice after drug busts, and yes, he did want to be close to the border for that reason. And he was serious as a farmer. Farming was a very masculine occupation and offered self-sufficiency and freedom from outside control. Or at least that’s what Burroughs thought (it didn’t work out that way). The Valley, which is still a very isolated place operating under its own laws, tended to attract black sheep types like Burroughs. It also attracted midwestern Anglos who enjoyed lording it over the Texas Mexican and Mexican population. Segregation in the Valley insured that even third-class white people were treated better than most of the local population. Of course not all Anglos were like that, and Burroughs certainly wasn’t a racist, but there was a side of him that was very colonial, at least during this period. I don’t think the boys were a big attraction down here, although they were available across the border in Mexico — even though it wasn’t that common for gringos to do that sort of sexual colonizing. Burroughs was outed in Reynosa, however, and was thereafter known as Willy El Puto — Willy the Queer. Reynosa, across the border from McAllen/Pharr, was definitely a draw, an anything-goes place in the 1940s, and Burroughs loved such environments. RealityStudio: Burroughs didn’t live that long in Texas but the period seems to have furnished him with a lot of experience and characters for his later writing. Is there any evidence that Burroughs attempted to write anything at all while actually in Texas? Or was he just preoccupied with his marijuana crop? Johnson: He wrote great letters, although he didn’t really start writing Junky until he moved to Mexico City. Ted Marak, one of Billy’s friends down here, remembers seeing him hunched over his Underwood, probably writing letters to Allen Ginsberg and Jack Kerouac. As far as MJ, Burroughs didn’t grow it here; he grew it on his East Texas farm in New Waverly. His friend, Kells Elvins, however, grew what was reportedly very high grade marijuana. RealityStudio: One typically thinks of Texas and the South as conservative. (For example, it’s astonishing to imagine Burroughs living in a “dry” county!) Did the radical Beats tap into some pocket of liberality there? Or did they just stand out like a sore thumb? On Liberals and Conservatives: Burroughs (and Kerouac) were hardly liberals. Burroughs hated FDR’s New Deal, Big Government, Revenooers, and especially Communists. He admired self-made millionaires like the wildcatters (oilmen) he met and heard stories about in Texas. At the time, his views were much more in line with Conservatives than Liberals, but we forget, today, that Conservative originally meant someone who believed that people should be left alone to do whatever they want to do without interference, especially from the government. Communism, of course, is the opposite of all that. One of the contributions of my book is to place Burroughs in line with mid-century conservative philosophy. His views on farming illustrate this perfectly. I also discuss the influence on Burroughs of the ultra-conservative, 1940s era columnist Westbrook Pegler. Don’t get me wrong: Burroughs was not Rush Limbaugh, but he would definitely agree with anyone who was anti-government. Conservatives today are hardly pure conservatives — they are often more like Fascists. Burroughs was of the Conservative/Libertarian order. But, at least in the 1940s, calling him “liberal” would have been the greatest personal insult. RealityStudio: Your previous books were about classic American railroad stories and the supernatural tales of Mexico. It seems like strangely pertinent background material for preparing a book on Burroughs, who admired the one (outlaws, carny men, etc.) and knew the other from his travels in Latin America. Did you find that your first two books informed your book on Burroughs in any way? Johnson: Of all of those railroad writers, Jack London was the biggest connection, particularly The Road. He too wrote classic American books in the sense that they deal with outlaw cultures such as hobos and catalogue purely American argot and slang (as WSB does in Junky). Fantasmas, another book I edited, is by Mexican-American writers, many of them from the Valley, and what I learned about the literary culture down here helped place Burroughs’s writings about the Valley in context. He was right about some (many) things, wrong about others. RealityStudio: How did you personally come to be interested in Burroughs? And are you a “native son” of Texas? Johnson: I was born in Fort Worth, Texas, and raised in Houston. However, I knew very little about South Texas until I took a job down here at the University. I did not seriously study the Beats — in fact, had read only On the Road, “Howl,” etc. — until around 2000, when I was offered a job writing encyclopedia articles on the Beats. To do that, I read practically all Beat literature over a 2-year period. When I came to study Burroughs, I was really surprised to see Pharr, Texas return addresses on his mid-1940s letters. Pharr was down the road from where I lived, in McAllen. That’s what got me going, first as a kind of hobby, and later very seriously, doing this research. RealityStudio: Your book sounds like it must have been a lot of fun to research. Do you think it will add to or even change the perception of Burroughs today? Does it explode the Burroughs myth or, to the contrary, show that it’s no myth at all? Johnson: Doing this research was one of the most pleasurable experiences of my life, particularly because of the people I met — lots of Beat scholars, such as Kurt Hemmer, Gordon Ball, Edward Simmen (in Mexico), but most importantly for my research, James Grauerholz, Burroughs’s literary executor, a truly wonderful and brilliant man and important scholar in his own right. I also had the great pleasure of meeting the South Texans who knew Burroughs or Kells Elvins, and people in Reynosa who remembered Willy El Puto. It seemed no accident that these people were part of Burroughs’s world back in the 1940s — they were highly intelligent, fascinating characters, and also great storytellers. I don’t know if my book explodes the Burroughs myth, but it does let you see Burroughs through the eyes of people who knew him before he was a writer, people who (mostly) had no idea what became of him after he left the Valley in 1949. It’s very difficult to find people today who have that perspective on Burroughs. The main reason people down here met him was because of Kells Elvins’ social connections. That wasn’t true in New Orleans, for example, where I doubt you can find anyone alive who has Billy Burroughs stories. Elvins, Burroughs’s childhood friend and probably his closest friend until Kells’s death in 1961, is a key character in my book. He is “K.E.” in Naked Lunch, and “Rollins” and “Evans” in other works. My portrayal of Burroughs as a conservative and a would-be capitalist is probably a new perspective for some Burroughs fans. In that respect and others, I think readers will see a Burroughs who is familiar but also different, someone whose ideas in the 1940s were not necessarily ones he stuck with in later life. Burroughs did often change his mind — he was not monomaniacal on issues such as societal “control,” although critics tend to see him that way. Readers of Queer will see (in the Reynosa stories found in my book) how much Burroughs’s life in South Texas was a dry run for his deeper explorations into Mexico. I also discuss a previously unknown short story by Burroughs called “Tiger in the Valley,” which deals with a friend of Burroughs’s nicknamed Tiger Terry, who was killed by a pet lion in a Reynosa restaurant. And my book contains a new account of the death of Joan Vollmer, provided by one of Burroughs’s South Texas friends who was partying in an adjoining room in the Mexico City apartment where Joan was shot. What he told me substantially changes our understanding of the events leading up to Joan’s accidental death. I think what readers will like the most about the book, though, are the outlandish stories his friends tell about Burroughs and the other South Texas Beats — their get-rich-quick schemes, their 4-day parties, their sometimes comic attempts at being farmers. Published April 2006. Many thanks to Rob Johnson. Be sure to check out The Lost Years of William S. Burroughs: Beats in South Texas when it comes out. You may also be interested in Professor Johnson’s other books, Fantasmas: Supernatural Stories By Mexican American Writers and Short Lines : A Collection Of Classic American Railroad Stories. I just finished the book today. I killed it in two days. I am so moved by the stories and the people especially Kells. I want to visit his grave and see some of the buildings that still stand . I feel as if I time traveled. Excellent, excellent book. Good job Mr. Johnson.